Tania Bruguera calls herself an “initiator”. Known for her political art and performance, Bruguera explains how her works create opportunities for reflection and conversation through the experiences they allow people to have. Born and trained in Cuba, from an early stage in her carrier Bruguera had to deal with repression and political implications related to her art. She believes those reactions actually tend to help “feed” her work and broaden the discussions she is trying to raise. The artist revealed some of her influences, sarcastically quoting Fidel Castro “The best way of doing politics is being in people’s lives”. 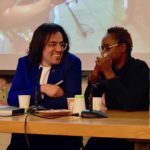 On her methodology, she explained that the first thing she does when thinking about a new piece is to think about how is it going to be used by others and the actual political consequences of their acts. Bruguera notes: her work is not about how is it going to look, it is about the “Est-ética” (playful work she does with language here transforming the word “aesthetics” into “its ethics”). Bruguera started her artistic path not necessarily envisioning political works. 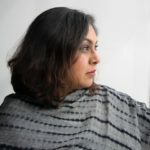 Nevertheless, after being called by the government to explain her art while she was still in college, she started realizing how politics permeated everything, and how she should actually embrace that theme for her own. She also learned the limitations of the body as a political tool and how symbolism could be easily manipulated. “If I want to talk about power, I need to use their language”, she reflected. That lead her to create her own newspaper (which was forbidden at that time), where her goal was to create a tension between art and reality. In order to do that, she understood that her art needed to be actively hyper-realistic. In the case of the newspaper, it needed to look exactly like a real one, and should circulate the same way the real one would. This became true for her other works and performances as well. Bruguera realized the need not to focus on one person or the self, but in society in general, using behavior as the main tool for her art to today. 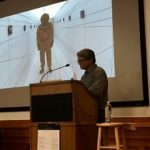 In this sense, the artist reflected on the importance of behavior, bringing to light how the role of the participants are essential for her pieces. “In my work there is always this thing where you have to decide if you want to participate: do you want to be a participant or a spectator?”. The connection Bruguera makes with real life situations can be intimidating at times, and that is also precisely the beauty of it. Bruguera also recognizes the significance of different reactions to certain pieces, for example if the work was aimed for people to stand up in a podium and talk, and no one does it, this is not a failure of the piece, but it can be interpreted as the fear of speech, for example. 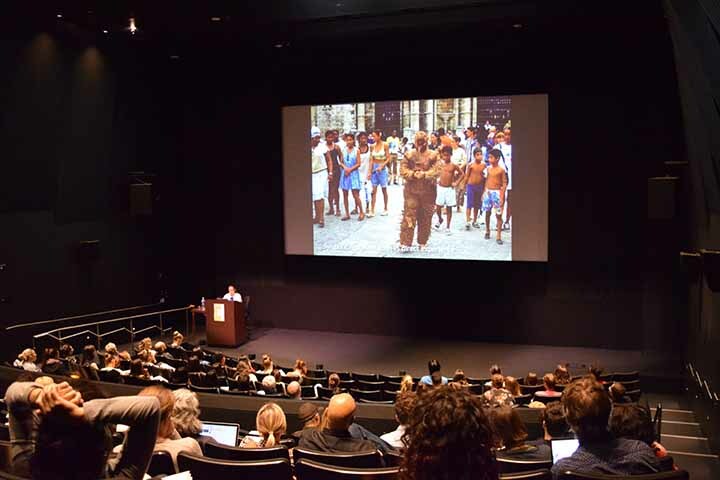 Still on the idea of the audience as participants, Bruguera emphasizes that many times, the role of the participant is as simple as being a witness to the work. In political pieces such as the ones she creates, there is a real value in keeping certain events in people’s memories, and as a performance (that is on view for very limited time), the product of her works end up being exactly this: the memory. The witness also carries an important political connotation (testing injustices, for example). 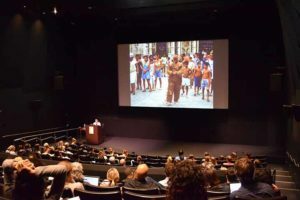 Independently, Bruguera recognizes the need in her works for collaboration with the audience (thus, the participants), and that, as she says, is essential for those doing socially engaged works. The work relies on this collaboration in order to exist.